Registration for this event is closed. If you wish to be added to the waitlist, please email podoffice@podnetwork.org. As our institutions seek to “reclaim the narrative on the value of higher education,” robust and context-appropriate models for educational development become more important than ever. Institutions (along with accreditors and regulators, parents and employers) are growing increasingly more focused on the student experience as tied to learning and engagement. And faculty increasingly find themselves called upon to serve as agents of educational change in ways they have not been well-prepared for. These variables may help to explain the increasingly organizationally-focused work of centers for teaching and learning (CTLs); they also underscore the need for intentional reflection when establishing, revising, or revitalizing a campus’s CTL—a CTL that is responsive to these variables as well as to the institutional context. The growth and expansion of CTL work is evident even in the AAC&U 2019 program: Most all of the conference tracks have faculty development implications: expanding and demonstrating the long-term impact of high impact practices; identifying “curricular and co-curricular innovations” that can transform student learning; promoting meaningful institutional change; creating campus climates of inclusion and student success; preparing students for lives beyond college; building capacity among educators to ensure high-quality, highly-relevant courses and curricula; and relying on “digital innovations” to advance equitable learning for all students. In all of these areas, and more, quality, scalable, and sustainable faculty development is essential. This ODI session is relevant to higher education administrators, CTL directors, faculty engaged in educational development, or other campus leaders who are launching or reinvigorating a CTL to serve as a trusted incubator of high quality, innovative educational experiences. The idea for this program arose through conversations with past AAC&U attendees who indicated a need for extended conversation focused on starting or pivoting a CTL on their own campuses. Leave with ideas, connections to leaders in the field whom they can contact after the ODI, and suggested resources to consider at their own institutions. This session is based on a model of CTL leadership, which highlights key POD Network values, particularly evidence-based practice, collegiality, and inclusion. As director of a center for teaching & learning at a midsized liberal arts university, Deandra supports and fosters evidence-based, innovative and inclusive teaching and learning practices and the scholarship of teaching and learning (SoTL). 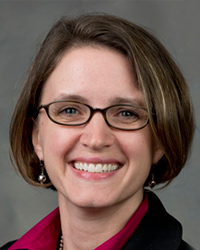 She has been involved in educational development for nearly two decades, first as a graduate student consultant at Vanderbilt University, then at the University of Virginia, and now at Elon University. Deandra’s recent scholarship focuses on the overlap between educational development practice, leadership, and identity, and her research interests also include change facilitation, individual consultations, course design, and teaching with visual images. She has written and presented nationally and internationally on these topics. 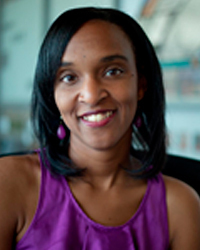 Deandra has been active in the POD Network since 2001, and is a former President and member of the Board; she is currently a Vice President of the International Consortium of Educational Development (ICED, 2016-2018). She holds a B.A. in English and German from Samford University and an M.A. and Ph.D. in English literature from Vanderbilt University. Debra Rudder Lohe directs the Paul C. Reinert, S.J. Center for Transformative Teaching and Learning at Saint Louis University, a Catholic, Jesuit research university. In this role, she helps educators move from intuition to intention in their pedagogical practice, advances institution-wide educational initiatives, and promotes evidence-based pedagogical innovations, interactive learning spaces, and reflective practices. At SLU, the Reinert Center supports faculty members and graduate students in their pursuit of effective, engaging, evidence-based teaching. Like most CTLs, the Reinert Center does this through work with individuals, academic units, and university leaders. Before her formal entry into educational development, Debie directed the composition program at Washington University in St. Louis, where she also received her doctorate in English and taught writing, literature, and gender studies courses for undergraduate and graduate students. Debie’s recent educational development work focuses on the organizational development role of centers for teaching and learning (CTLs), creating strategic partnerships between educational developers and academic administrators, and sensible strategic planning for CTLs. She has been an active member of the POD Network since 2009, serving on numerous ad hoc and standing committees. She is a past member of the Core Committee (the governing board) and a past chair of the Finance Committee. 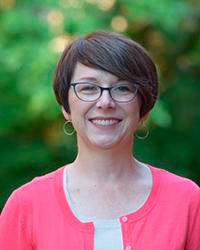 Leslie Ortquist-Ahrens directs the Center for Teaching and Learning at Berea College, a small, private liberal arts college in Kentucky, and one of eight federally funded Work Colleges. Berea’s integrated Center combines educational development (in particular, faculty and organizational development) with an undergraduate TA development program and a writing center. These three areas together aim to equip and empower constituents to become effective, well-informed, and confident teachers, thinkers, writers, and learners. They also work together toward humanizing and historicizing traditional classroom practices, norms, and assumptions for the purpose of creating greater equity in higher education. In addition to directing the unit, Leslie is the Director of Faculty Development and also an active tenured faculty member with a home in the English Department. In addition to her enduring interest in organizational change and development, Leslie’s areas of expertise include facilitation, mentoring, new faculty programs, professional learning communities, and student-faculty pedagogical partnerships. Prior to coming to Berea in 2012, Leslie was founding director of a center at Otterbein University, where she served for a decade. She earned a Ph.D. at Indiana University in Comparative Literature, with emphases in Film and Culture Studies and Germanic Studies. Leslie is a former president (2013-2016) of the POD Network in Higher Education. Tershia Pinder-Grover has over 13 years of educational development experience focusing on engineering education and diversity, equity and inclusion (DEI). 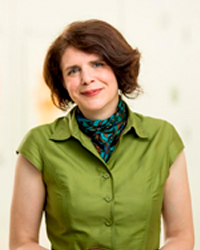 She currently serves as the Director for the Center for Research on Learning and Teaching in Engineering (CRLT-Engin) at the University of Michigan (U-M). In this role, she leads a team focused on advancing engineering education in the College of Engineering through innovative programming, strategic partnerships, and cultivating individual relationships. In collaboration with the Associate Deans in the College of Engineering, she provides leadership on educational priorities, especially as it relates to DEI. She also works closely with department chairs to create customized programming to meet the needs of their faculty. Her current research interests include graduate student professional development and the adoption of inclusive teaching practices for engineering instructors. As a member of the CRLT Senior Leadership Team, she’s involved with setting the direction for teaching and learning priorities for the university more broadly. Further she plays a central role in U-M’s Presidential DEI strategic plan initiative working closely with the University’s Chief Diversity Officer. Along with her colleagues on CRLT’s DEI team, Tershia was recognized with the Distinguished Diversity Leaders Award: for her extraordinary commitment and dedication to diversity at U-M. Prior to joining CRLT, Tershia received her Ph.D. in Mechanical Engineering from U-M.
Martin Springborg is a faculty member in the Minnesota State system, where he teaches photography and art history. He also works in the field of educational development, and has served as a program director for the MnSCU Center for Teaching and Learning. 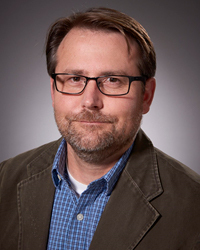 He has written for Minnesota State internal publications on topics such as techniques for the assessment of student learning, teaching and learning with technology, and student engagement in both traditional and online classrooms. His writings and photographs relative to teaching and learning in higher education have also appeared in Thought and Action (2013) and To Improve the Academy (2012 & 2016), as well as in the book Teaching Photography: Tools for the Imaging Educator (2006). His co-authored book Meaningful Grading: a Guide for Faculty in the Arts (West Virginia University Press) was published in August of 2018. Stemming from his work in educational development as well as his work as an educator and practitioner in the photographic arts, Martin is currently engaged in a photographic essay on faculty and administrative work in higher education. More image samples and details on his project Teaching and Learning can be viewed at www.springborgphoto.com. Eddie Watson is Associate Vice President for Quality, Advocacy, and LEAP Initiatives with the Association of American Colleges and Universities (AAC&U) and formerly director of the Center for Teaching and Learning at the University of Georgia. 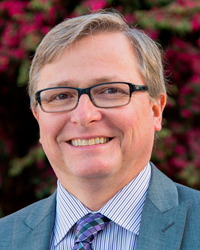 He is the founding executive editor of the International Journal of ePortfolio, the executive editor of the International Journal of Teaching and Learning in Higher Education, and has published on teaching and learning in a number of journals, including Change, Educational Technology, EDUCAUSE Review, the Journal for Effective Teaching, and To Improve the Academy, among others. He has recently been quoted in the New York Times, Campus Technology, EdSurge, and University Business. Magazine and on CNN and NPR regarding current teaching and learning issues and trends in higher education. He is also the author of two recent books, Teaching Naked Techniques: A Practical Guide to Designing Better Classes (Jossey-Bass) and Playing to Learn with Reacting to the Past—Research on High Impact, Active Learning Practices (Palgrave MacMillan), both published in 2017. 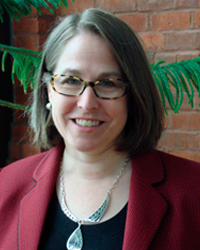 Mary Wright is director of Brown University’s Sheridan Center for Teaching and Learning, which became an integrated center in 2016, merging teaching, assessment, and direct learning support units. She is also currently serving as Past President of the POD Network in Higher Education. Prior to her work at Brown, Mary served as Director of Assessment at the University of Michigan’s Center for Research on Learning and Teaching (CRLT), where she began her career in graduate student professional development. Mary’s scholarly interests include evaluation of teaching and learning innovations, documenting the impact of educational development services, and graduate student professional development. Mary earned an A.B. in sociology from Princeton University, an M.A. and Ph.D. in sociology from the University of Michigan, and an M.A. in higher education administration from the Center for the Study of Higher and Postsecondary Education at U-M.